After the Camerimage international film festival’s special screening of The Talented Mr. Ripley, Anthony Minghella’s wonderful and haunting 1999 film with Matt Damon in the starring role, I had the unique pleasure and honor of seeing and listening to probably the greatest film editor and sound designer of the last half a century. 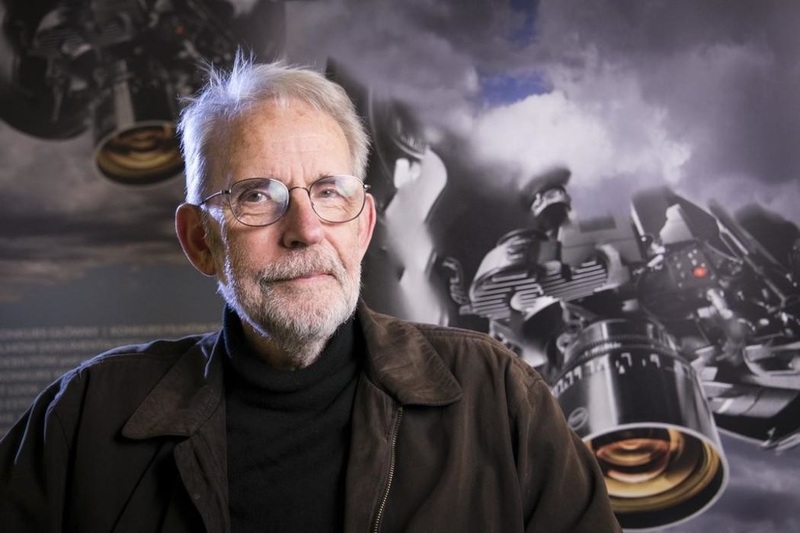 Walter Murch, the living legend of the filmmaking business whose career was built on films such as Apocalypse Now, The Conversation and The Godfather trilogy, was invited to Bydgoszcz, Poland to receive the festival’s Special Award to Editor with Unique Visual Sensitivity. This is the first time I’ve ever had the chance to see him in person and, besides coming off as a very nice and humble human being, to listen to him talk about filmmaking, editing and the history of film was incredibly inspiring and satisfying. Sitting at a small table on stage, with a glass of water at his side, Walter Murch engaged the audience and the crowded theater—mind you, many of the audience are filmmakers themselves—bombarded him with questions, seeking his advice and wanting to soak up as much wisdom as possible. Murch briefly discussed his relationship with Minghella, calling him an extremely collaborative director who wanted and accepted input from his crew (but “still had strong vision and ideas”), recalling how they met and how Minghella explained to him that, when he found a perfect T-shirt, he’d buy hundreds of them, never to have to set out on the risky task of finding new clothes. The message was clear—if Murch proved to be a capable editor, Minghella would want to work with him for the rest of his life. They did three films together (The English Patient, The Talented Mr. Ripley, Cold Mountain), and would definitely collaborate again had it not been for the director’s tragic death in 2008. One of the most interesting parts of the conversation was when Murch explained one the things that inevitably changed with the rise of digital technology and its use in filmmaking. Back in the good old days, after a hard day’s work on set, the crew would gather and watch the ‘dailies,’ the material they filmed that specific day. With minds clear and concentrated on the film, they would immerse in their footage and have discussions on the material. Dailies became a part of history, as there’s no need for them when the crew can monitor what’s being filmed on set simultaneously on their screens. Since during filming people have tons of things on their mind and can hardly relax in front of the screen, Murch believes dailies should be brought back into practice, as they proved very useful in the past. On the unsurprising question of what you need to have to be a good editor, Murch said you needed to be ready to spend 16 hours a day in a small, stuffy room with no windows, being repeated the same things over and over again like torture. Furthermore, a good editor has to have a good sense of rhythm because, after all, editing is basically choreographing a line of images. The other important thing is to be able to anticipate the audience’s reaction. According to Murch, the editor is the only representative of the audience in a film crew: his job is to predict how the viewer will respond to the movie, and to do so, he has to place himself in their shoes. Therefore, Murch tends to avoid seeing any part of filming, he visits the set only if really necessary, believing too much information would prove to be a burden, as it will distance him from the position of the viewer, who will see the film without any knowledge of the size of the set or the sort of sandwiches served in breaks. The editor, Murch continues, is one of the few people on set with great effect on the film who can completely isolate himself if he wants to. What I did not know was that Murch had some influence on the script for The Talented Mr. Ripley. As he was sent the screenplay six months prior to filming, he made a couple of suggestions regarding the way the film should open and how it should end, and Minghella listened. But it’s not strange, Murch says, that editors get the screenplay months, or even a year, in advance: it’s actually common practice nowadays. Needless to say, I left the theater impressed like a school boy, as I should be in the presence of a professional of such caliber. This made me a little more nervous during our interview, but it turned out there was no need whatsoever to feel uncomfortable. That’s who Murch is—an editing genius capable of making you feel as if he’s your friend from elementary school. In an interesting interview you recently gave to Indiewire, you said that films are called motion pictures, but that they could be easily called emotion pictures since the point of every film should be to cause an emotional response in the audience. Do you think this should be top priority in any film? Yes, with the proviso that it should be the correct emotion. Films are very good at stirring up emotion but you have to be careful about which emotion you’re stirring up. So in a sense the filmmakers, from the directors to anybody else, have to really say—what emotion are we going for here and why are we going for it? And how does that emotion relate to what we had in the previous and will have in the following scene? And can we also track not only the emotion but the logic of everything that’s happening, basically is the story understandable? So this dance between intellect and emotion, which is kind of basic to what human beings are, is something that we have to be very careful about. In a film, for instance, you could stage a murder in a very brutal way which would stir up emotions in the audience, but is that going to confuse things later on in the story? You also talked about over-intentionality in movies, how it’s easy for the audience to feel manipulated into feeling something if things are edited in a certain way. How difficult is it for you not to cross that border, to cause an organic feeling in a viewer rather than a manipulated one? It’s very difficult. Because films are evolving under our fingers, so to speak. And we want to communicate certain things and we’re anxious that the audience understands what we’re trying to say. And so many things are uncertain in a making of a film that you can sometimes hold on to a scene as being important, but you can learn later that, in fact, by removing that scene in a strange, sometimes mystifying way the whole film relaxes, and the audience gets everything you’re saying even without this very definite moment. I remember many years ago working on a film with Fred Zinnemann called Julia. These arrows began to point at one scene in particular at the beginning of the film. Maybe we should lose this scene, because again, there was this over-intentionality to it. And so we, meaning Fred and I, said let’s take it out. So I was undoing the splices, back in the day when we made physical splices, and he observed, you know, when I read the script of this project, when I read this scene, I knew that I should do this film. In other words, the very scene he connected with was the scene we are now taking out. So I asked myself, am I removing the heart of the movie? Or am I removing the umbilical cord of the movie? This scene was important to connect Fred with the film, but let’s say, once the nutrients have flowed into the whole film, not only now can you remove the umbilical cord, you have to remove it. We walk around with the belly button, but not with the umbilical cord. So there are scenes like that that deliver their message very particularly, but you should be suspicious of those very scenes and wonder if this film can ride the bike without these training wheels. A lot of big American movies these days treat the viewers as if they are incapable of connecting the dots, explaining far too much in the process. Do you see that trend in American cinema today? Yeah, I think so. I think that’s partly down to everything we’ve just been talking about. It’s also that, in quotes, American cinema is also global cinema, in that American cinema is more than Chinese cinema, more than Indian cinema, more than European cinema. It’s the one cinema that goes all the way around the world so it has to be understandable by the Chinese, Africans, South-Americans, Europeans. Inevitably, there is a coarsening of the message there because of trying to adapt to all these different sensibilities and different ways of thinking on the different continents of the globe. But very often it’s simply lazy filmmaking. It’s hard to make it the other way because of the uncertainty of it all, because it’s risky. I find it much more interesting to make things this way precisely because it does involve the audience in the film. And really the last creative act of any film is viewing by the audience. The audience are really the ones who are creating the film, it doesn’t really exist on the screen, it exists in a kind of penumbra between the audience and the screen, the interaction of those two things. And exactly what you’re saying allows that interaction to take place. Otherwise, the audience is just blasted by the things coming from the screen, and they just have to sit there and take it. Since Return to Oz wasn’t a critical or commercial success, the film practically blocked your potential directorial path. But it must be nice to see what happened to the film in the decades that followed. How do you feel about the project now? I’m very happy that it has this afterlife. The film was made in the early 1980s, really at the dawn of home cinema. VHS had just come in at that point, I think. So I made it not knowing everything that was going to happen in the next thirty years with DVDs, Blu-rays, streaming and all of these other things that allowed people to see the film in a variety of different circumstances. On the other hand, it has to be good enough for the people to want to see it. So I’m very pleased to see it has this afterlife to it. Ironically, one of the things that happened is that the studio, Disney, at the time of the release of the film had changed management, and the new management really had no interest in Return to Oz at all, really. It was kind of abandoned, but that meant ironically that I had more control over it because if they hadn’t abandoned it, they would have been far more aggressive with me, trying to bend it this way or that, kind of like what happened with Orson Welles on The Touch of Evil. The finished film is as much as any film pretty much as I wanted to make it. But you said you had some projects you wanted to make, but you were force to abandon it. You stated one of the movies you wanted to make was about Nikola Tesla. Why him? I’m just fascinated with him as a character. I discovered him in the process of doing research for Return to Oz because the inspiration for the Emerald City, this fantastic place, was the Columbia World’s Fair in Chicago in 1893. And that was the fair that Tesla appeared at, and he was the one that electrified the fairs. This was the first World’s Fair to be electrified with Tesla’s alternating current, and he was at the fair giving demonstrations. So he was arguably the living wizard of that festival, and he was called The Wizard. So I think L. Frank Baum, the author, who lived in Chicago, went to the fair and saw Tesla and Tesla was the wizard. But the more I learned about Tesla and his story, the more fascinated I became. I wanted to do a kind of Mozart-Salieri story on the tension between Tesla and Edison, who were two very, very different personalities, both competing in the same territory. This story might have made for a great film. You’ve worked with a lot of great filmmakers in your career. Which collaboration holds a special place in your heart? It has to be Francis Coppola because the first feature film I’ve worked on was his film, The Rain People in 1969. And I worked with him in 2009 on Tetro, the last film. Which is… how many? Four decades of working together? And on some remarkable films. There’s a gap between Apocalypse Now and Apocalypse Now Redux. But he and I share many sensibilities and he gives a great deal of control to the people who work with him. Working with Francis, I was astonished how much control he gave. We was, like, just go and do something. Yes, a lot of trust, but the surprising thing about trust is, if you’re given all of this trust, you repay it, you know how much he has given you and so you are anxious to fulfill and more the trust he has given you. And that works in opposite way with directors who are always controlling everything, did you do this, I want this, I want that… At a certain point you say, OK, let’s all do what you want. But this other way of working, the Francis way, is a wonderful way of working. When we compare what editing used to be to editing today, with the development of technology and the trend that movies resemble music videos, what would you say about contemporary, modern editing? There is a shift. On the other hand, also if you look at the decades, the fastest editing ever in a motion picture was Man with a Movie Camera, Dziga Vertov’s film from 1929. Well, not the whole film, but there’s a section of the film that’s so rapidly cut that you just kind of had to stand back the way you look at fireworks. We, meaning in the larger sense, are investigating the borderline between effect and comprehensibility. And it’s clear that, to achieve a certain effect, this kind of fireworks in editing—you can do that, but you lose comprehensibility. Things are happening on the screen and maybe you’ll capture a thing here or there. For briefs periods of time this is fine in any film. But as a general principle, it’s something to be wary of. Without question, music videos and commercials and even videos you see in clothing stores on video-screens, have all affected the way we see edited images, and they’ve worked their way into the theaters. And we’re looking at films on very different mediums, on iPhones or 20-meter screens in a movie palace, or on virtual reality goggles. So all of those are very different formats, and yet at the moment we have to edit as if they are all the same. This creates dissonances with the rate of cutting. For example, the videos on screens in clothing stores. They are rapidly cut with lots of moving, so as to make you look at them. So you’re in a store that’s mostly static, people moving fairly slowly, and yet over here there’s a screen going like this (waves his hand frantically), forcing you to look at it. Taking that sensibility though and transposing it into a movie palace, where that’s the only thing we’re looking at and the screen is sixty feet wide, can create undesirable side effects, people get sick looking at it. In the long term, we’ll figure all this out, and it does change from decade to decade. Dialogue, for instance, in the 1930s and 1940s was said much quicker than it is today. The cutting was slower, but people talked much faster, quick, quick, quick. His Girl Friday, for instance. Films just don’t sound like that today. That’s the dialogue equivalent to quick cutting. You can’t see that today. The closest thing would probably be The Social Network, those scenes very quickly paced in terms of dialogue. The experience of watching feature motion pictures in theaters is barely one hundred years old. Birth of a Nation came out in 1915, and it’s 2015. 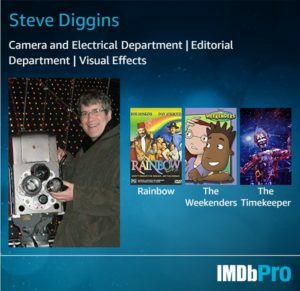 And I’ve been working in films for half that time. (laughs) We’re still learning how to do this, and adapting to different circumstances, so it’s natural for the pendulum to swing far in one direction, and then far in the opposite direction. Inarritu’s film last year had no edits in it, at all, there were technically concealed edits in there, but the experience of watching it was that there were no cuts whatsoever. Would you say that The Apocalypse Now was the most troublesome project you ever worked on? It was troubled, but in a good way. Meaning, it’s a very contentious subject matter, especially at that time. And we were investigating all the possible ways to tell this story. It was turbulent and maybe troublesome, but in a good, creative way. In any film you’re working on, there’s a great deal of uncertainty. Can we do this, is this going to work, do we have time to do this… Everyone is wondering how it is going to work. But it was certainly the longest postproduction of any film I worked on, I was on it for two years, Richie Marx was on it even a year longer. It was a long period and you have to also gage your own energy level and focus on something that lasts that long. That was another kind of an invisible challenge for all of us involved. You mean coming back to ordinary life? Sure, that’s an occupational hazard of any film, it completely occupies a great deal of real estate in your brain as you’re working on it, and then suddenly it’s over and all of that real estate is available, empty, and now you have to re-program your brain to get to normal. It’s the equivalent, I think, to a kind of sea sickness. You know you’re finished objectively, but you’re body is still working on something, but there’s nothing to work on. The collision between those two things, what you objectively know and what you feel… it usually takes from two or three weeks to two or three months for these things to come back in alignment. How long a pause did you have to take after Apocalypse Now? After that, I started writing a screenplay, one of the projects I was going to direct. So… six months. But at the end of those six months I started writing, which is different than making films, a different rhythm. So after Apocalypse, the next thing I did was Return to Oz. We began preproduction in 1983, so it was almost four years since Apocalypse. So, first I wrote an unproduced screenplay, then Return to Oz. What was the screenplay about? It was about an archaeologist in Egypt, a kind of a ghost story, but more along the lines of what you were talking about earlier, one that was ambiguous. There were not a lot of special effects in it, it was about a personality change. Was that down to an accident that happened, or did something spiritual happen to this person? But it ended up in a drawer somewhere. Mr. Murch, thanks for your time. It was a pleasure. I’ve seen Return to Oz and the audience expectations of the Disney name and the original MGM film were much different than what Murch did. It is a gloomy cult film, but not bad. Here are some books about Walter Murch and Editing that I recommend.